Puffed Rice in English or Kallepuri in Kannada, usually mixed with salt and masala are sold road side, are the best evening time snacks in Bangalore. Kallepuri vendors are commonly found at Lalbagh where walkers buy the kallepuri wrapped in a sheet on old paper, after a tiring walk around the park. 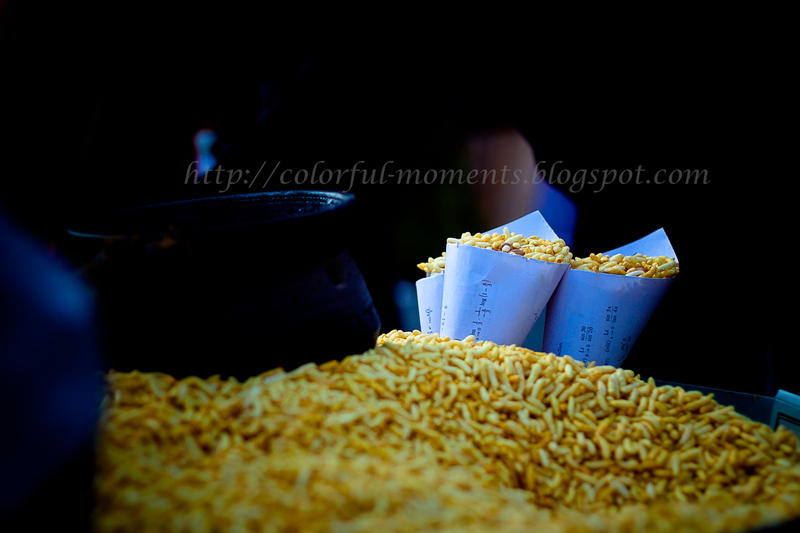 Shot at Chitra Santhe 2011.